New community pub after last orders for The Limes? 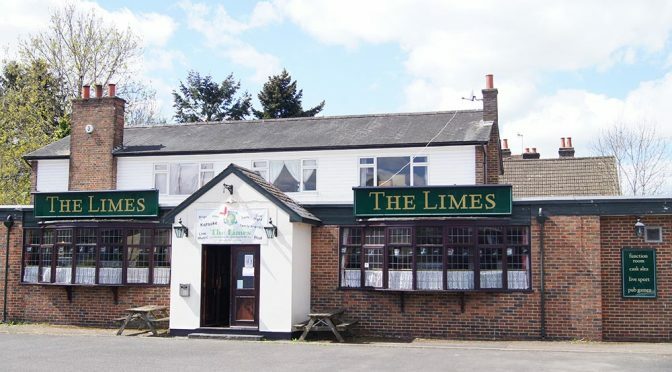 As Last Orders are called at The Limes pub in Merstham for the final time this weekend the possibilities of building a new community pub will be discussed at a public meeting next week. 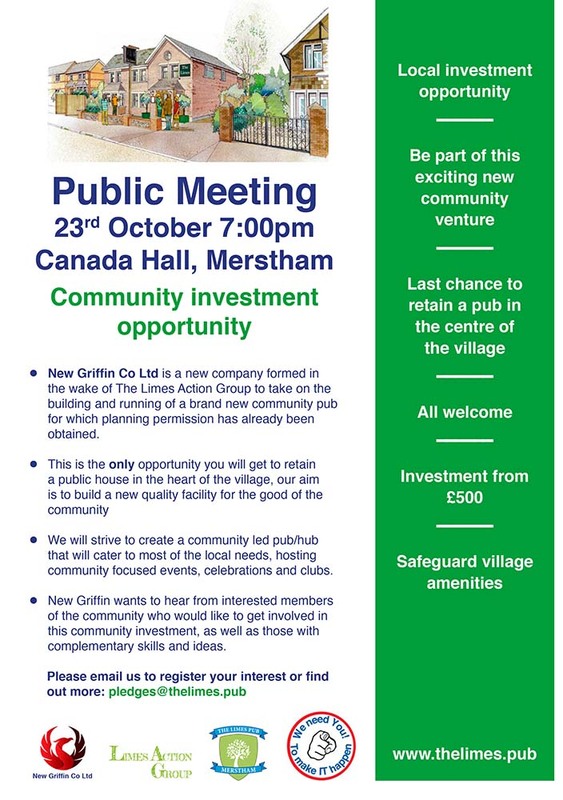 Ahead of the 23rd October meeting at Canada Hall, Merstham, Tess Lewsey spoke to Mike Blacker about the plans for the future. 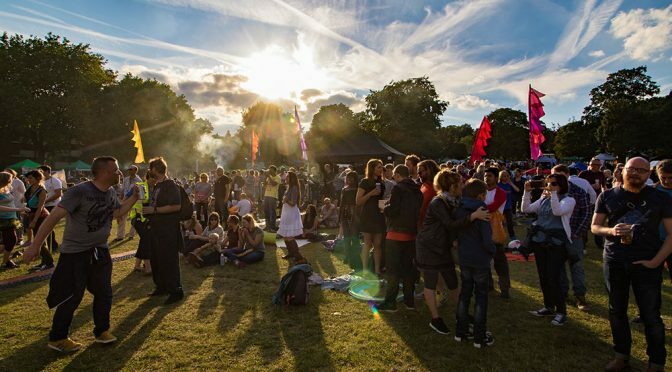 Now that we are in the height of summer, this month’s Susy Radio Book Club looks at traditional English customs and festivals. Tess Lewsey spoke to Tina Campey and Eimear Hughes from Redhill Library. 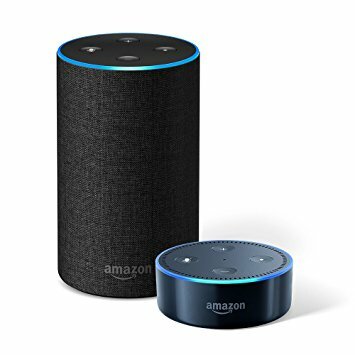 Here’s a special chance for regular listeners of David Jay’s ‘Afternoon Stroll’ to put a face to the name of the special guest presenters who have been appearing on Susy Radio over the past few weeks. 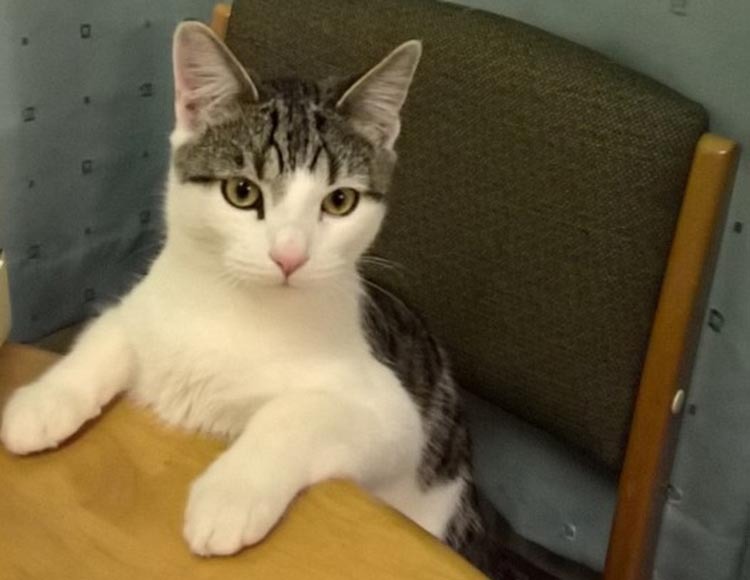 Since David’s own cat Winston retired from the airwaves earlier this year other guest presenters have stepped in to help David as he keeps the music and chat flowing during his regular Afternoon Stroll. 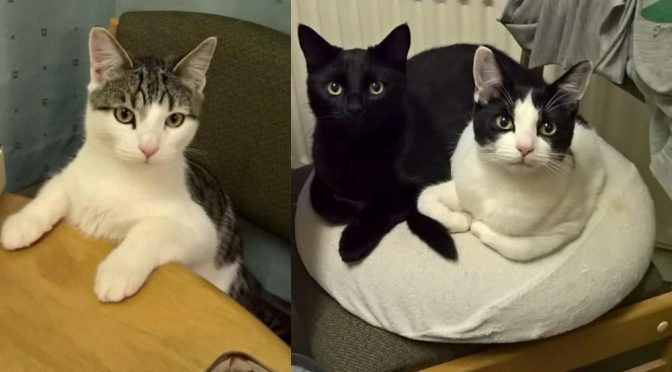 Just recently David has been joined by ‘The Tribe’ who are three gorgeous kittens, Winston 2, Marley and Lady who belong to loyal Susy listeners Scouse Lee and Sandie from Smallfield. 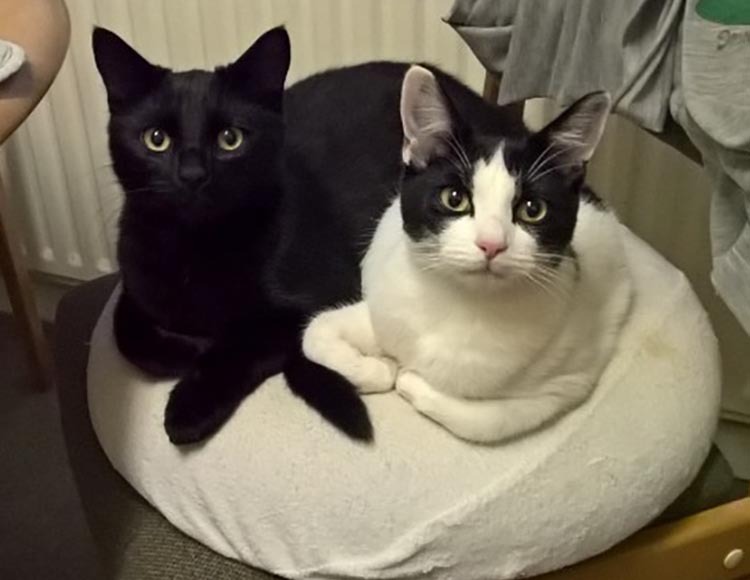 Keep listening to the Afternoon Stroll with David Jay on Susy Radio for more guest presenters and quite possibly more from ‘the Tribe’ in the not too distant future. St Mark’s Players’ are an amateur theatre company based in Reigate. 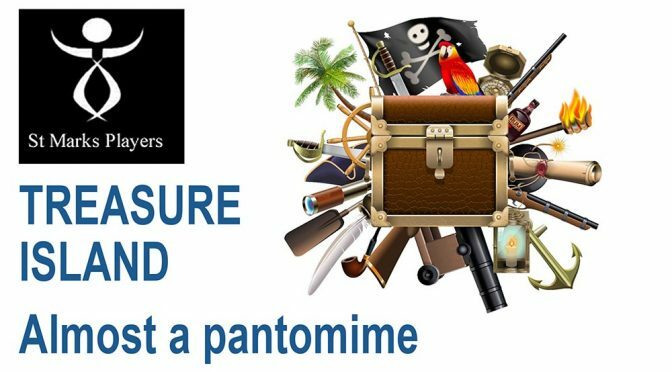 Peter Jackson and Christine Knox, from the company, came to the Susy Radio studio on Monday and spoke to Tess Lewsey about their next production ‘TREASURE ISLAND Almost a pantomime’. Redhill Business Guild (RBG) held its first breakfast meeting on Wednesday 27th September at Three Central on London Road, Redhill. 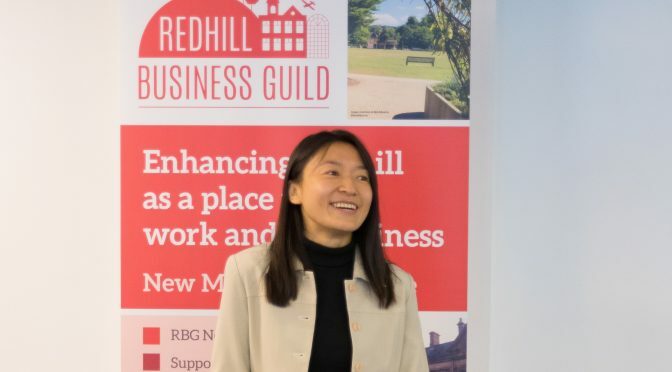 Redhill Business Guild (RBG) Breakfast Club welcomes their first presenter Sumi Wang. 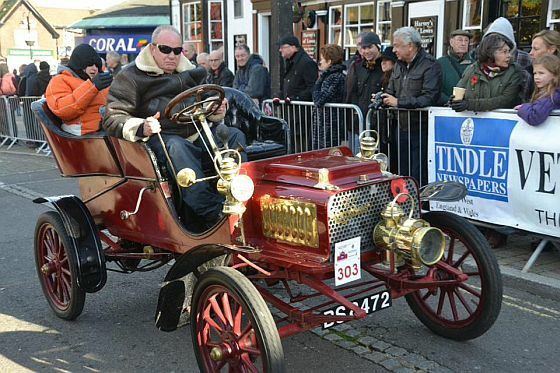 Simon Bland gave the opening speech during which he expressed his love for Redhill. 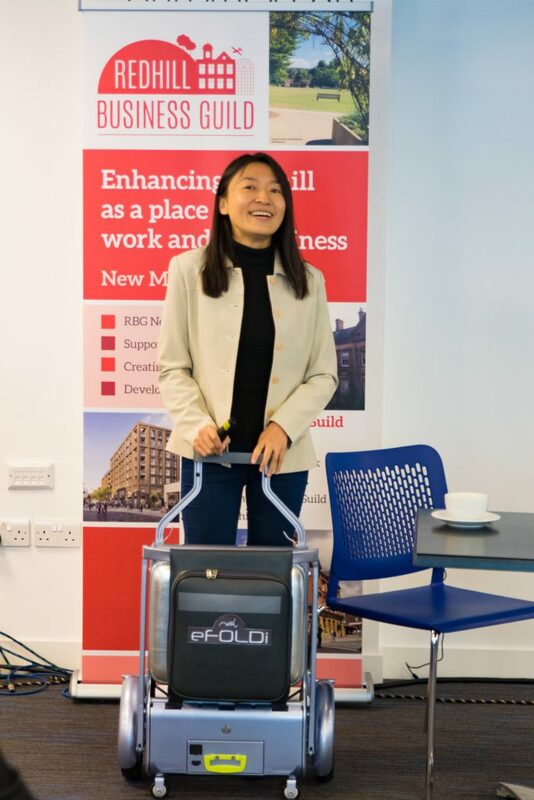 Following his speech the RBG Breakfast Club welcomed the Guild’s first presenter Sumi Wang, the local Redhill entrepreneur behind the eFOLDi, a collapsible mobility scooter, which won British Invention of the Year and the Reigate and Banstead Entrepreneurs Academy. eFOLDI also came runner up in the Richard Branson VOOM business awards. Sumi and her father, who together designed and pitched the eFOLDi, had a fantastic story to share, one that reaches all the way to the Chinese National Acrobatic Troupe. Sumi provided an illuminating presentation of the eFOLDI mobility scooter. 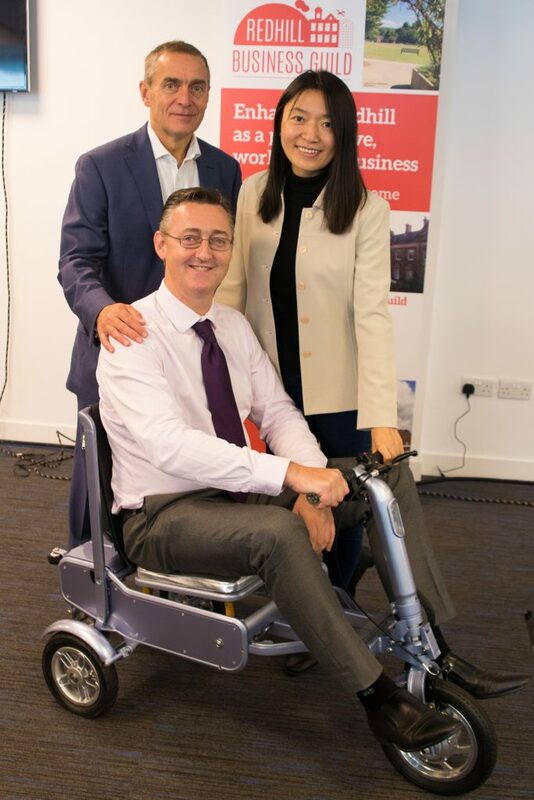 L/r Simon Bland, Economic Prosperity Programme Manager at Reigate and Banstead Council, Sumi Wang, eFOLDI and (seated) Richard Coad, Borough Councillor for Redhill East. Among those attending the first RBG Breakfast Club were Jerry O’Leary, Chairman of Redhill Football Club, Belfry Shopping Centre Manager Andy Nash, Vicky and Dave from VIDA Training and Alix from the Include Choir, an inclusive choir of people with and without communication, memory or learning difficulties. 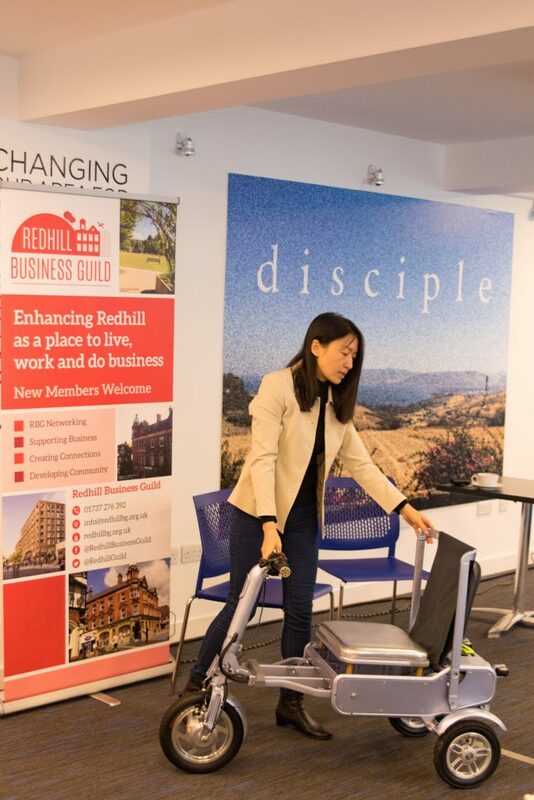 Established in September 2016 and representing a wide cross-section of businesses the Redhill Business Guild promotes and improves the trading interests of all its members and welcomes all proactive businesses wishing to join the Guild to help us achieve our objectives and become a part of the Redhill business community. 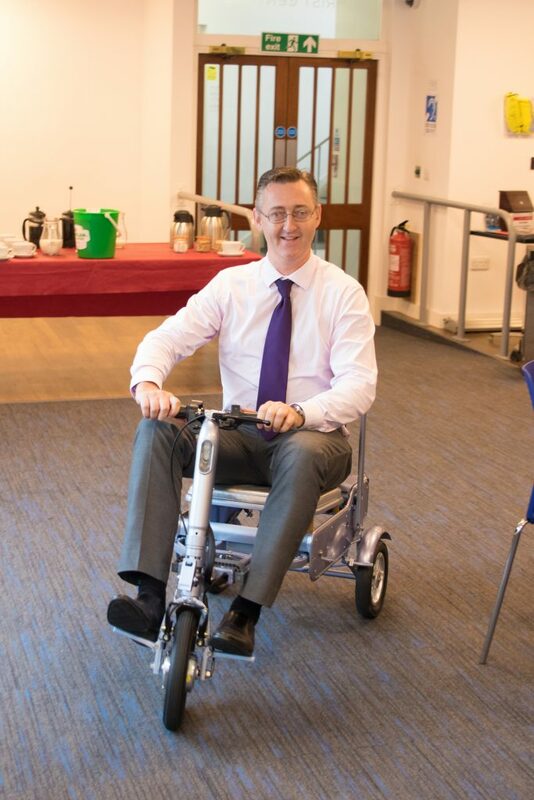 For more information go to the Redhill Business Guild website – http://redhillbg.org.uk.